Bandai’s latest The Force Awakens Figuarts toy is a fantastic looking figure. 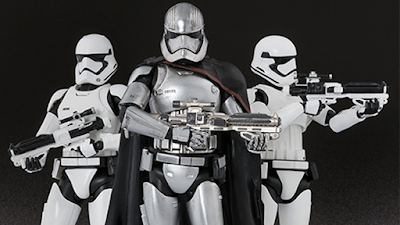 The 6” scaled Phasma (meaning she actually dwarfs the First Order Stormtrooper and Kylo Ren by a good head or so) is, like her counterparts, sparsely accessorised—she simply has her equally shiny blaster rifle to her name. But that doesn’t stop Phasma from being so damn cool. 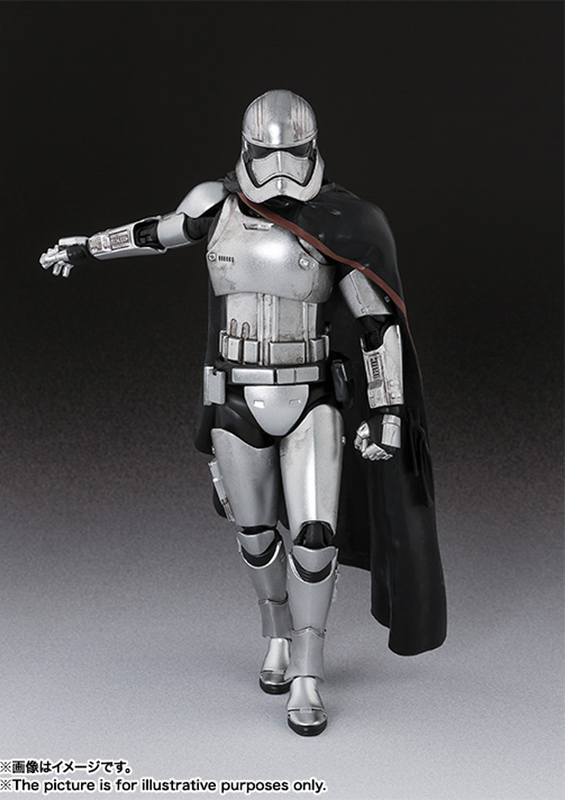 The cape is soft plastic rather than a more natural looking cloth, but it hangs brilliantly on the toy in such a way that it looks great in so many different poses. 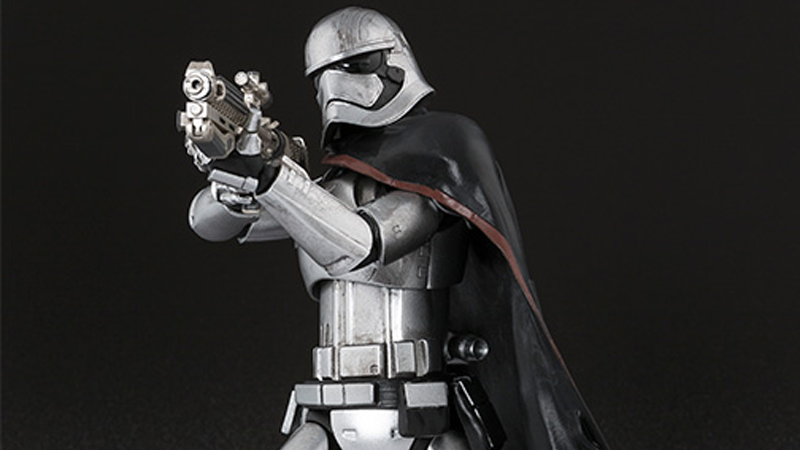 Alas, Phasma’s badassery can’t stop you from having to wait awhile to get your hands on this figure. Phasma won’t be out in Japan until February of next year—and when she’s out, she’ll set you back 5,616 yen (or around $46).